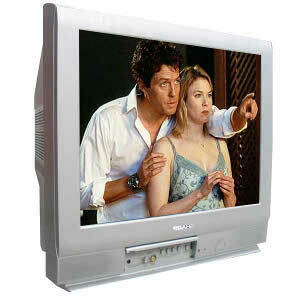 Television (TV) is a technology that enables the transmission of full motion broadcasts to remote receivers. 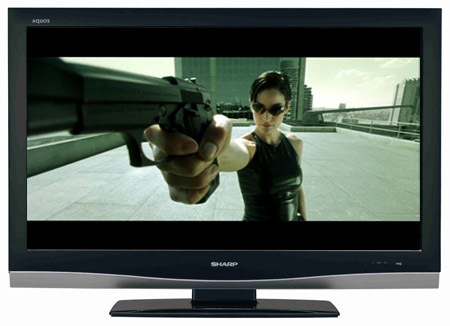 A television is the device that is used to watch the broadcasts, and is also the name used for the entire process from filming to broadcast and receiving. These days TVs are ubiquitous in the western world and increasingly popular in less developed nations with estimates that by the middle of the 21st century every home will have at least one television. The idea of using television to entertain occurred quite late in the development of the technology, in fact the first uses for TV were thought to be more useful for telephones, Alexander Graham Bell the inventor of the telephone actually created a working photo phone in 1880. The late 1800s saw a number of technologies being tested and developed, personal photography, the use of electricity, radio broadcasts, the invention of telephones, and of course television, and whilst TV took longer to fully develop it certainly wasn’t a 20th century invention. The cathode ray tube, one of the most significant enabling technologies for television was actually invented in 1876 and used electricity forced thru a vacuum tube to produce light on the glass front. At the time electricity was still in its early stages of development so mechanical means of transmitting an image by using a metal disk perforated with viewing holes were developed in parallel. The very first broadcast of a picture over remote distances occurred in 1926 in London when John Logie Baird, a Scotsman, and Charles Jenkins, an American, broadcast a series of small moving black and white images using mechanical means. Their signal was only 30 lines, much less than modern TVs at 525 lines, but is significant in that for the first time motion was broadcast wirelessly to a remote location. 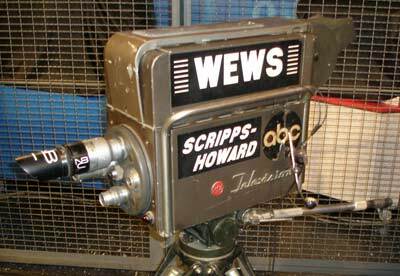 The first television broadcasts were by todays standards basic, not much more than a moving slideshow of stick figures or photographs, but they proved the technology and were an important step in the development of ful motion. In 1927 Philo Farnsworth demonstrated the first electronic system with motion camera and broadcast abilities by transmitting a Hollywood film that had been projected in front of the TV camera. His techniques, using fully electronic scanning of images was also used in April of 1927 by Bell Laboratories and the Department of Commerce to film a broadcast of Herbert Hoover, then Secretary of Commerce, in the first live broadcast of a person. Picture and sound was simultaneously broadcast using radio waves, in the same way that television is still broadcast today. Television technology continued to develop over the next decade but at a slower pace after the initial demonstration broadcasts. Bell Laboratories, and RCA were actively investing in developing the entire broadcasting and receiving system for commercial gain and the race was on to be first to market. RCA’s first major broadcasting breakthrough came at the 1939 New York World’s Fair, when RCA successfully broadcast the President’s speech in black and white. The second world war prevented the full development of TV although news was broadcast to the few who had a television, but the end of the war saw enormous interest in television from a public that was desperate for new consumer goods. 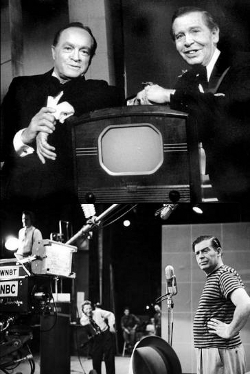 Commercial broadcasting began in 1947 with NBC, ABC and then CBS competing for viewer loyalty using shows that had been successful on network radio as their first foray into television. The first shows purposely written for television were the highly popular children’s show Howdy Doody, the Texaco Star Theater, and then the Ed Sullivan Show all of which managed to capture huge audiences and helped spur the growth of television as an entertainment medium. 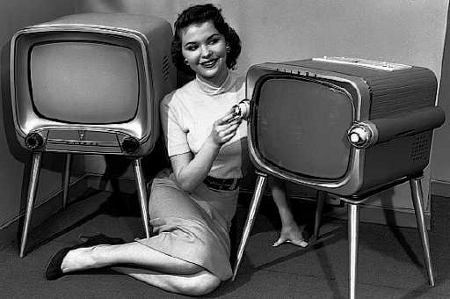 Ba the middle of the 1950s over half of all American homes had a television, so much so that the bigger networks started noticing a substantial decline in radio listeners. Network television in the US was not alone in experiencing huge growth over radio, in the United Kingdom, France, Germany and other developed nations similar growth in the demand for television was starting to be seen. At the time technology standards in the US had been settled since after the war based on older technology, a system known as NTSC which was in use in the US, Canada and Japan. Europe which was several years behind the US decided to implement a different more modern system they called PAL leading to compatibility issues. The 1960s were a pivotal year for television. John F Kennedy was elected president primarily on his spectacular television performance. Television had finally reached maturity as a platform for bother entertainment and news, and now also as a platform for political coverage and debate. This despite the uncertainty of the McCarthy years of the 1950s when many of TV land’s most prominent commentators and hosts had been forced off air. The second major development of television in the 1960s was the introduction of color in 1964, a revolution that transformed the world. For the first time, audiences could see shows, musicals, documentaries, and news broadcasts as if they were right there. Wildlife documentaries and current affairs progams benefited most with the audience finally able to appreciate the beauty and horror of the world from the comfort of their living rooms. With color television available and quickly overtaking black and white as the medium of choice, the impact of watching TV started to be felt. In some instances it became a force for good, with notable successes such as Sesame Street, a children’s show with special educational value being launched. At other times TV has been considered a force of evil by fringe groups determined to protect their traditional family values. Of course television’s most important contribution to humankind has been the relative ease of bringing distant people together using satellite uplinks, the very first of which saw the Home Box Office screen Mohammed Ali’s Thrilla from Manila live to US audiences in 1975. Cable and satellite television quickly enabled networks to increase their reach, across national boundaries as well. In the 1980s the high definition television standard with over double the number of lines at 1125 was ratified but has yet to gain any real market share and as Internet TV increases in popularity many within the industry are suggesting HDTV may end up being restricted to camera equipment with viewers opting to use computer monitors and projectors. The future of TV could be very different from the first 90 years of the history of television. Learn more about the History of Satellite Television. Great detailed information! Great Work.